Oneka Ridge will be opening Tuesday April 16th at 11:00 AM for walking only! 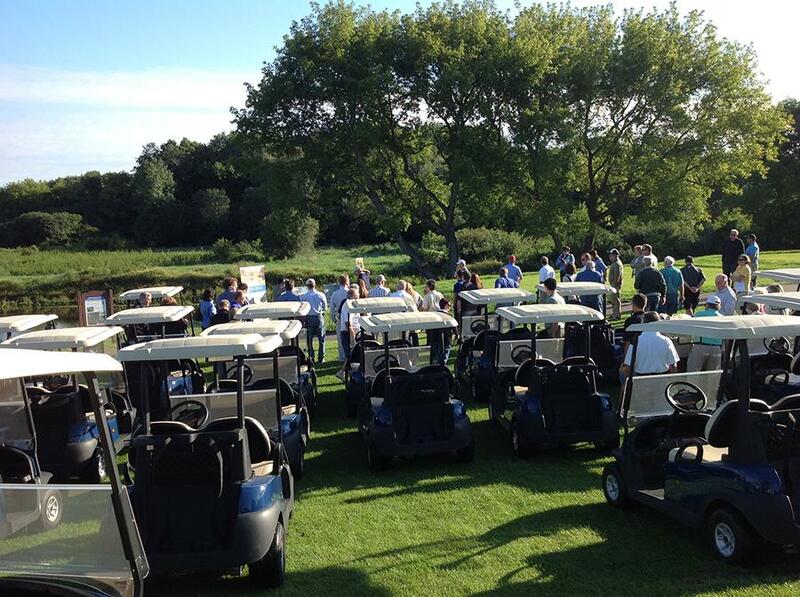 Oneka Ridge Golf course is conveniently located just 5 minutes north of White Bear Lake, MN off Hwy.61. This privately owned public course features forgiving fairways and excellent greens, 18 holes of golf, superb grass range, practice putting and chipping greens. The clubhouse features a dining area where carry-out food is served, a full service bar, a large proshop and a patio overlooking the 18th green. Oneka Ridge is a course that accommodates all ability levels. Our golf simulators are now open! Simulator time may now be booked 1 week in advance for public play and 2 weeks in advance for Oneka Ridge members. Come on in for 18 holes or just hit the range and keep your swing sharp. See our golf simulator page for more information. Call us in the proshop at 651-429-2390 to book time. Don't forget to sign up for our 2 person Winter golf simulator league. We have a limited amount of spots available so give us a call today for more info or to get signed up! 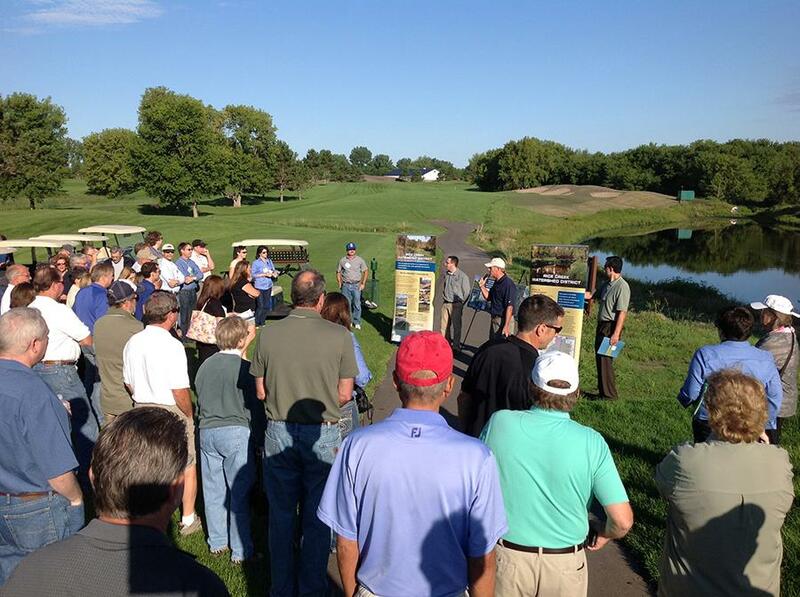 Testimonials: "I drive 38 miles from Burnsville 5 days a week to play golf at Oneka Ridge. The first 10 years I had a 12 minute drive from Little Canada. I have tried many different courses in the south metro and St. Paul. With the improvements they have made in the past 5 years, plus the great staff, that is like no other, and the wonderful friendships I have made, I have no reason to even look at other courses! I did not even mention the many leagues they have that truly make Oneka stand out. " --- Ken D.
"Great staff, great course and great times!" ---Greg B. 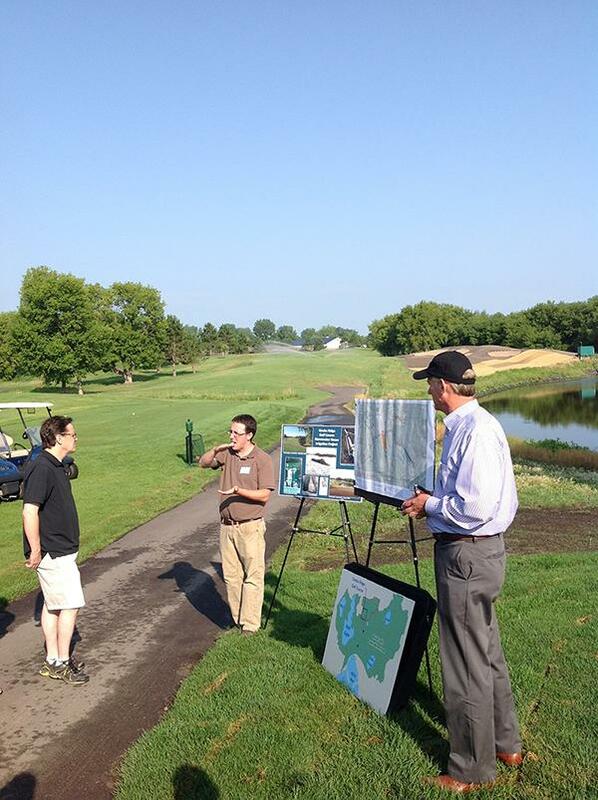 Members of Rice Creek Water Shed explaining water reuse project on #18 to Legislators and dignitaries from around the state.